Turkey’s polarised factions should learn from their mistakes and overcome their antagonism, the main opposition leader said on July 26, reflecting fragile efforts to reconcile in a shaken country where the opposition has for years accused President Recep Tayyip Erdogan of authoritarianism. In an interview with The Associated Press (AP), Kemal Kilicdaroglu, who has previously compared Erdogan to a dictator, said Turkey’s political parties could re-boot tense relationships following the trauma of the July 15 insurrection. However, he warned the government against a “witch hunt” in its crackdown on suspected associates of the coup plotters, echoing concerns that anyone critical of the president could be caught in the purges. “We all need to engage in self-criticism,” said Kilicdaroglu, head of the opposition Republican People’s Party, which was close to secularist generals who used to control Turkey’s military. The party, which backs a Western-style liberal democracy, has lost by wide margins to Erdogan’s Justice and Development Party, which took power more than a decade ago with the votes of a conservative Islamic base sidelined under past secular governments. Erdogan, whose efforts to channel more executive power to the presidency have alarmed his opponents, thanked political foes who condemned the coup attempt. 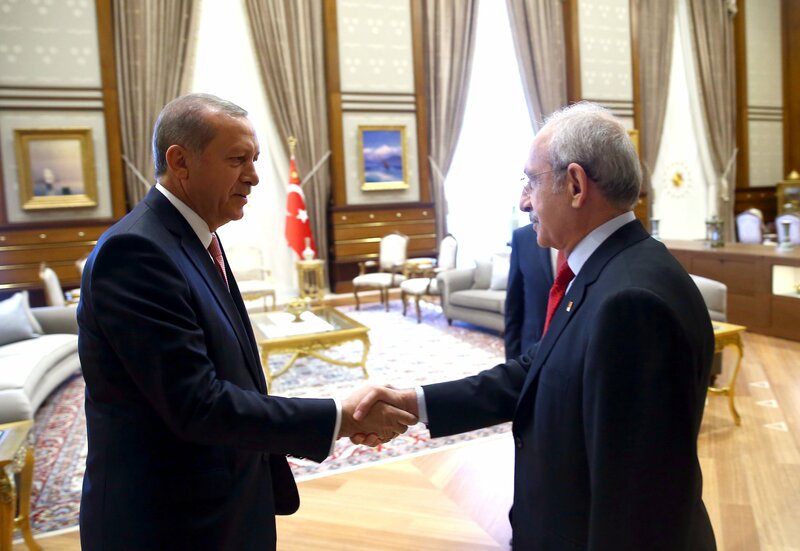 The spectacle of Erdogan shaking hands with Kilicdaroglu in a rare meeting on July 25 at the presidential palace startled commentators, reported AP. Still, there are deep divisions between followers of Erdogan, who advocates a pious Muslim lifestyle, and secular Turks who think the president wants to impose Islam on the country. Also, the leader of a Kurdish political party accused of links to Kurdish rebels in Turkey was not invited to the meeting with Erdogan, an indicator of tensions following the collapse of peace talks a year ago and a resumption of the long-running insurgency. In the latest violence, rebels killed a soldier at a sentry post in southeast Turkey, the state-run Anadolu news agency reported on July 26. The Kurdish political group, the People’s Democratic Party, has alleged that the government is using the attempted coup as an opportunity to weaken all opposition groups under a three-month state of emergency that grants Erdogan the power to issue decrees without parliamentary approval. “You don’t become a democrat automatically when you stand against the coup,” said Selahattin Demirtas, co-chair of the People’s Democratic Party. Turkey has detained more than 13,000 people in the military, judiciary and other institutions in purges after the uprising by some military units on July 15 left about 290 people dead. Tens of thousands of others have been suspended from their jobs in sectors including education, health care, city government and even Turkish Airlines. The government blames the uprising on followers of Fethullah Gulen, a Muslim cleric who lives in the United States and runs a global network of schools and foundations. Gulen has repeatedly denied any knowledge of the coup attempt. 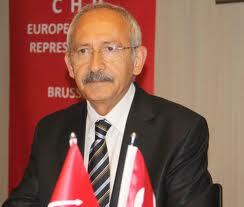 In the AP interview at his party’s headquarters, Kilicdaroglu cautioned that authorities should act within the law and pursue only those linked to the coup plot. “Those who are innocent should not be thrown into the fire with those who are guilty,” said Kilicdaroglu, the former head of Turkey’s social security service. He also said he supported Turkish appeals for the United States to extradite Gulen, though Sabah, a pro-government newspaper, criticised him for a speech at a rally on July 24 in which he condemned the coup attempt but did not mention Gulen by name.